How were the pyramids of Egypt built? Is the Bermunda Triangle really a dangerous place for ships and planes? How did an Eastern European prince from the 1400's become linked with the story of a vampire in the 1890's? Correlated to the Australian national curriculum in History and Geography. Grab your magnifying glass and notepad; it’s time to put your sleuth skills to the test once again with the second installment of the popular Enigmas of History series! You’ll join forces with researchers, explorers, discoverers, and archaeologists as they unravel hidden clues and reveal little-known facts in an effort to solve some of the greatest mysteries on Earth. 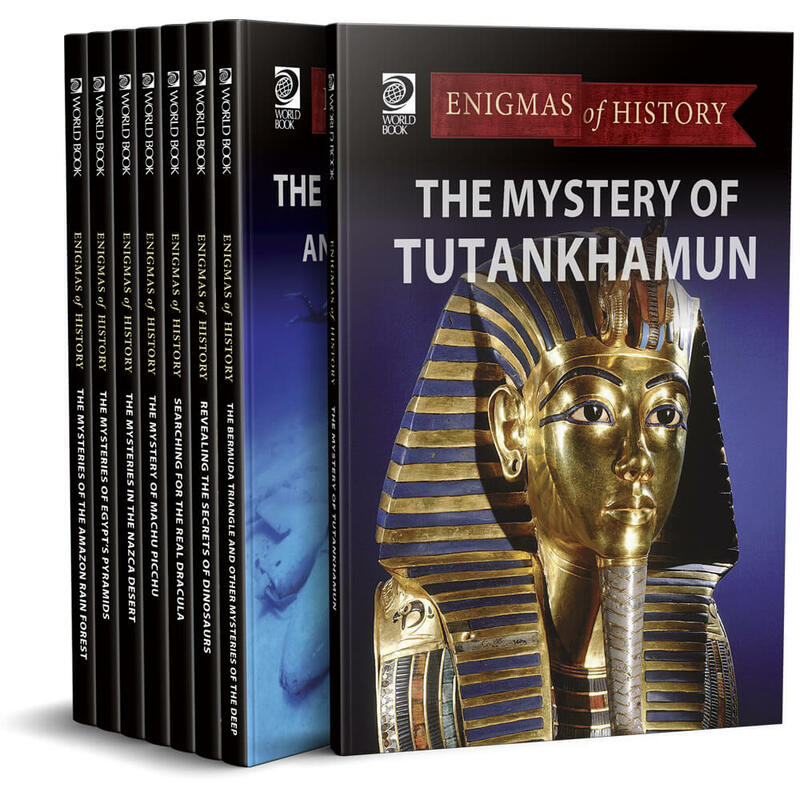 Each of the eight titles in this historical series focuses on a mystery or legend that has stumped experts and captivated the public—sometimes for hundreds or thousands of years! Readers will have the chance to go deep into the heart of the Amazon rain forest to discover a lost city, dust off the history of the Nazca lines in southern Peru, and relive the seemingly impossible construction of the great pyramids of Egypt that have endured for more than 4,000 years. In each title, an introduction sets the stage and lays out the nature of the mystery. 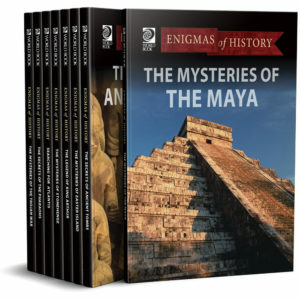 Page by page, you’ll use crucial evidence and clues in the form of maps, detailed diagrams, photographs of actual artifacts and sites, and illustrations to piece together the truth surrounding the mystery or legend. Along the way, you will learn important facts about related subjects. A glossary, bibliography, index, and list of places to see and visit provide more information and in-depth explanations for even the youngest sleuths. By the end, all known secrets shall be revealed. But as with all great mysteries, some may remain unsolved.